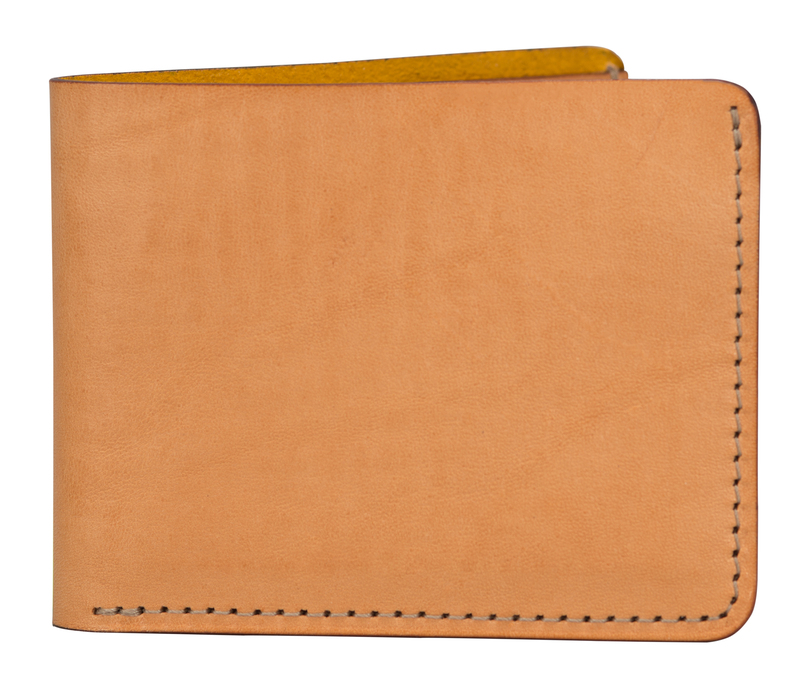 A minimal wallet for essentials. The W Wallet carries four cards and currency. 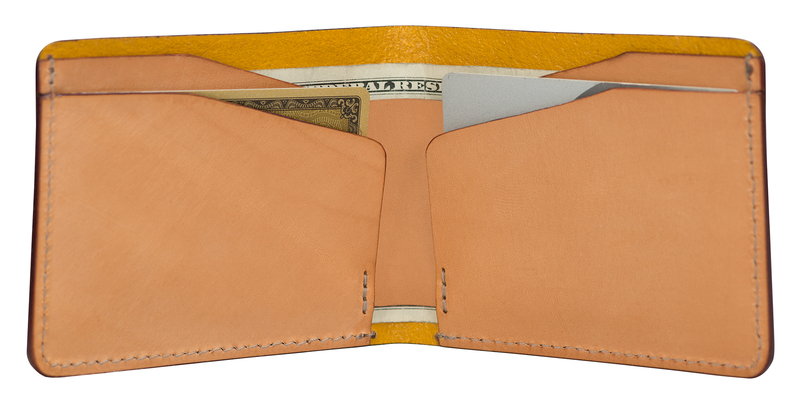 Our vegetable-tanned leather W Wallets will gradually, naturally darken to a saddle-brown hue; their hand-colored interior is colorfast and water repellent.